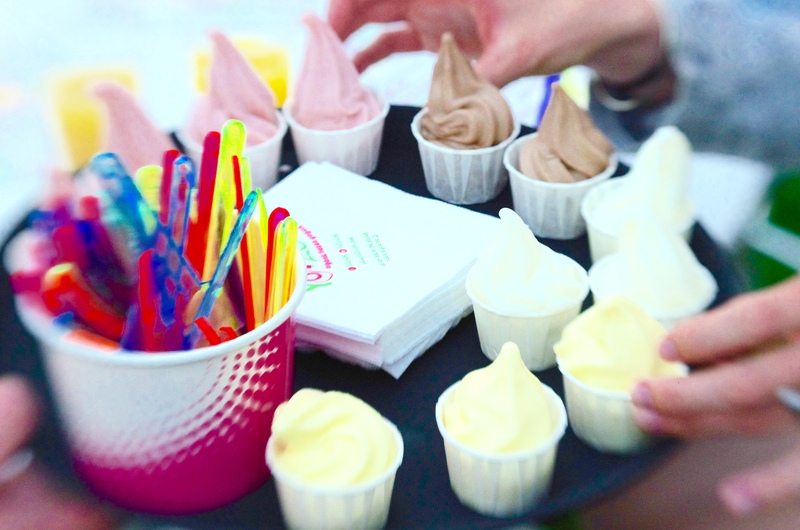 YoZen brings Guilt Free Frozen Yogurt to Woking in Surrey. 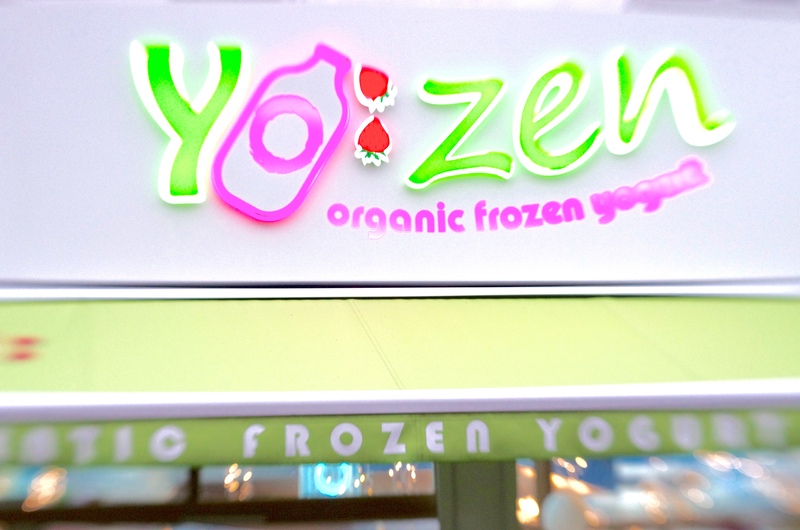 YoZen brings organic frozen yogurt to Woking. 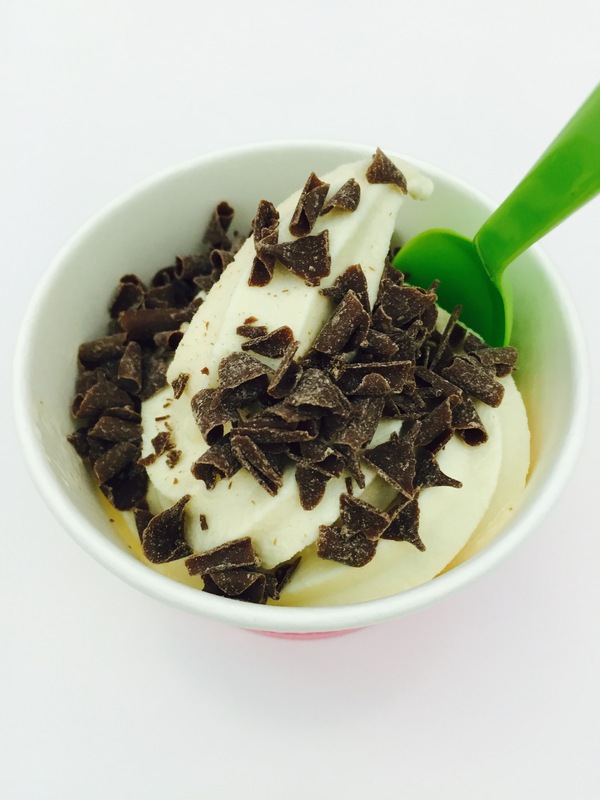 What’s not to love about frozen yogurt? Slightly more tart than ice cream and lower in fat. Topped with superfoods such as fresh fruit, berries, nuts and granola who can resist? 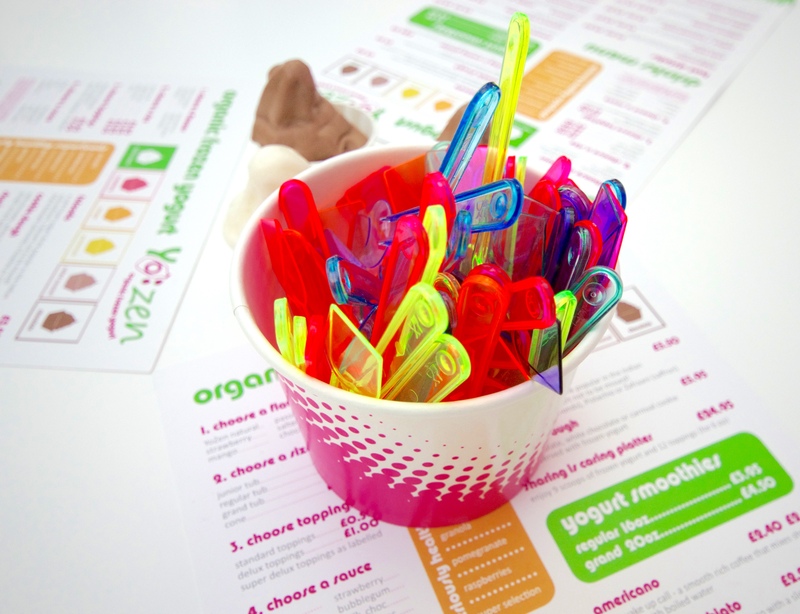 SurreyKitchen was invited to the opening night of a new frozen yoghurt cafe – YoZen in Woking, surrey. 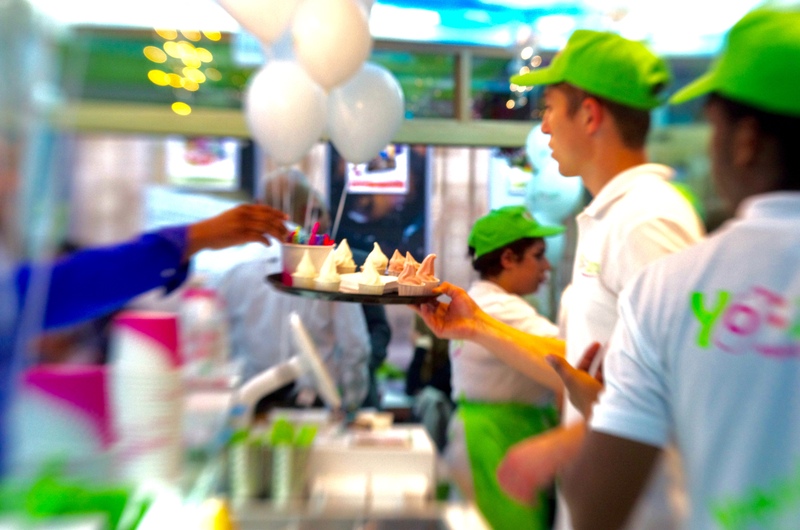 It goes one step beyond the average by serving organic frozen yogurt with no extra additives. A healthy alternative for those with fitness in mind. Astro turf grass flooring -suitable for babies and toddlers. 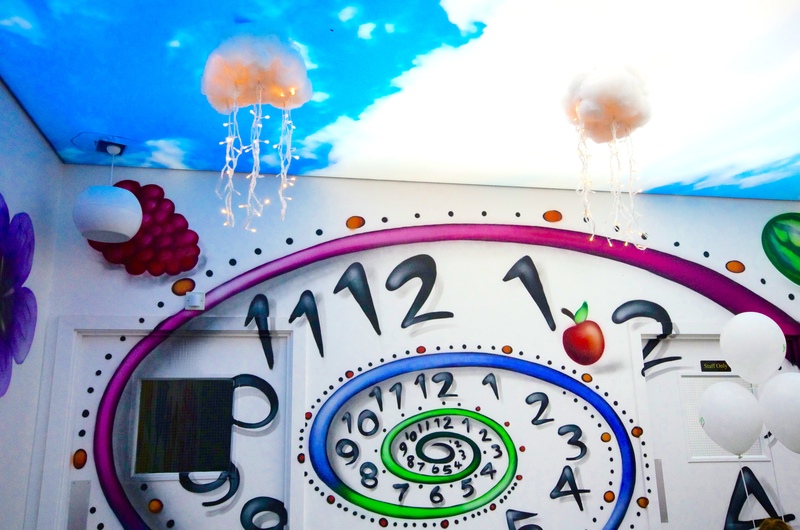 On entering YoZen you are transported into an ‘Alice in Wonderland’ like world with grass flooring, large fruit murals by graffiti artists and beautiful cloud lights. 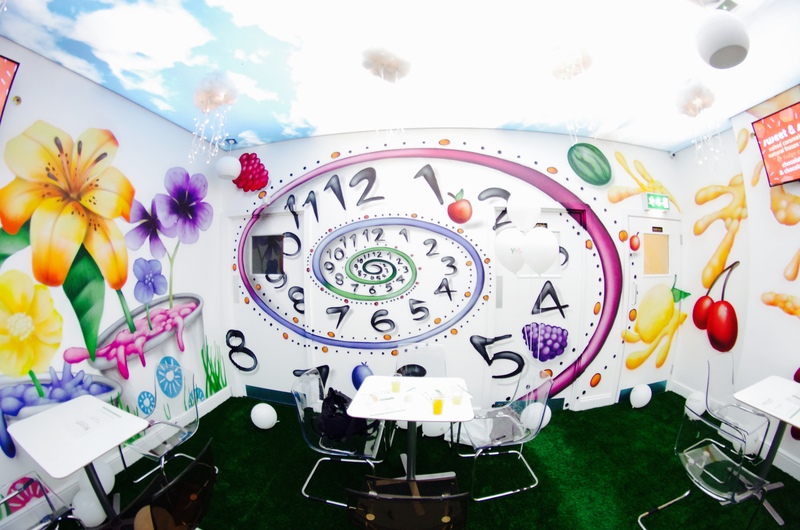 I felt happy just watching my daughter enjoy the sensory experience created by the decor of YoZen. Already a hit with baby and toddler groups YoZen’s astroturf flooring gives little ones the freedom to move around whilst parents/guardians socialize over a caramel latte or cinnamon spice mocha. The menu on offer at YoZen is just as enticing as the decor. From natural frozen yogurt to strawberry, mango, passionfruit and salted caramel no one is left disappointed. 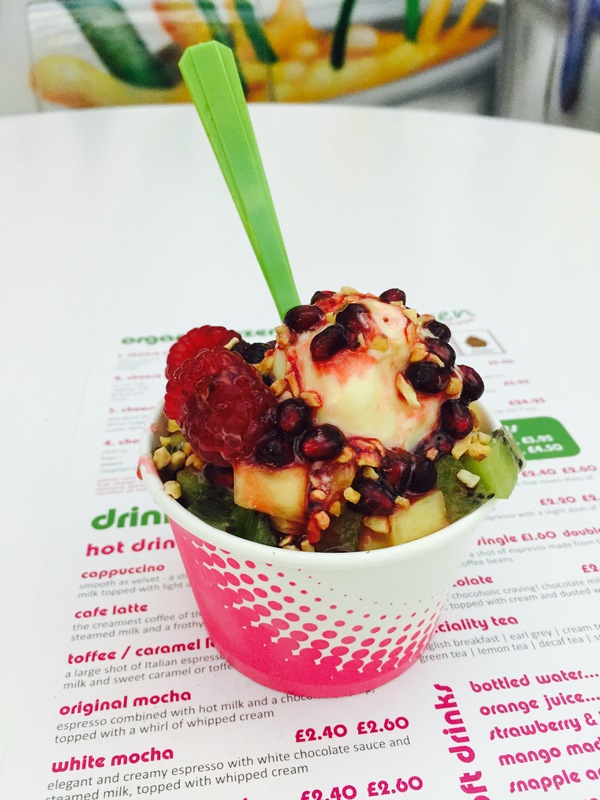 For a pre workout or post gym treat try YoZen natural topped with avocado and goji berries. Yozen Mango topped with fresh fruit and berries. Or if you are looking for something a little more decadent why not try salted caramel YoZen topped with fudge cubes and chocolate flakes. Chocolate was my favourite of all the flavours on offer with coconut coming a close second. 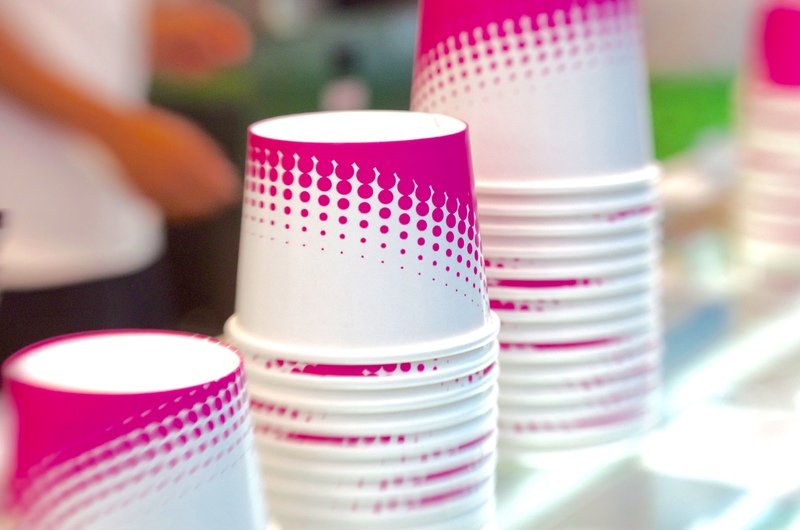 YoZen’s menu also includes an exciting range of yogurt drinks and smoothies. The Falooda, a frozen yogurt drink popular in the Indian subcontinent is topped with almonds, pistachio’s or saffron. Enjoy the fun of creating your own smoothies and top with favourite treats such as crushed Oreos or fresh blackberries. Quality is paramount to YoZen who use local produce and prepare their ingredients in store to guarantee your toppings are fresh and nutritious. YoZen also promises to update their menu through the seasons to provide customers with new and exciting combinations. 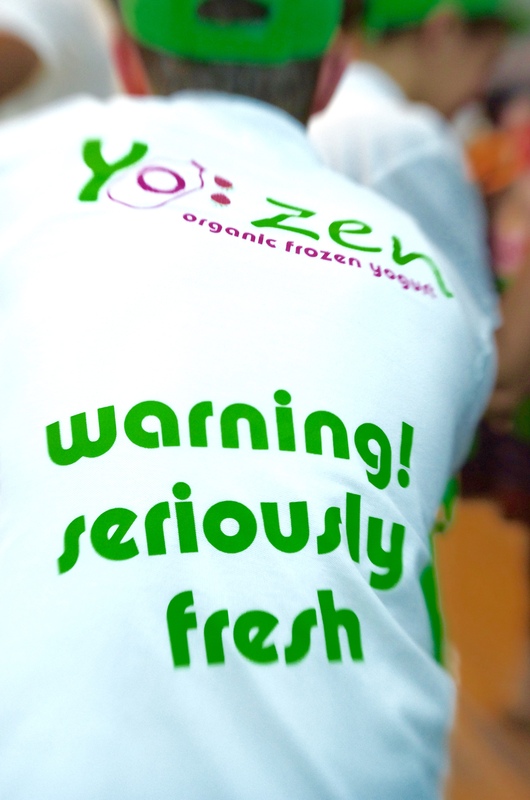 Launch night YoZen, Woking, Surrey. What I loved most about YoZen in Woking is it gives people a healthy alternative to pubs and wine bars for socializing with friends and family. Now I just have to convince the owner to open one in Epsom where I live!! Enjoy Ross’ photosphere of YoZen to get a 360 degree view! 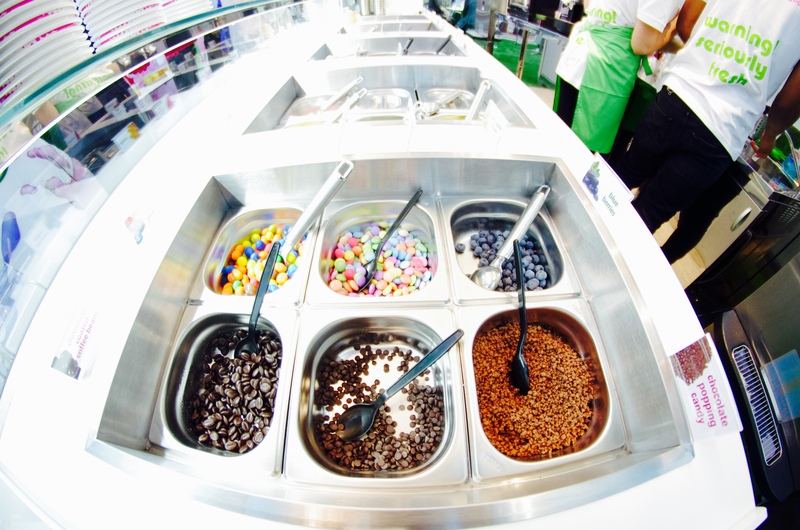 Frozen yogurt places have been all the rage in my town for probably 6 or 7 years. I hope you get one closer to home soon! 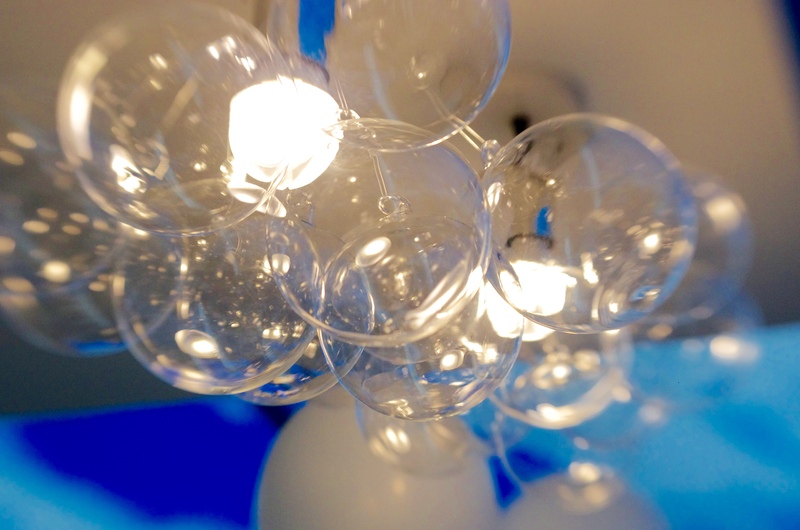 very cool–literally and figuratively. 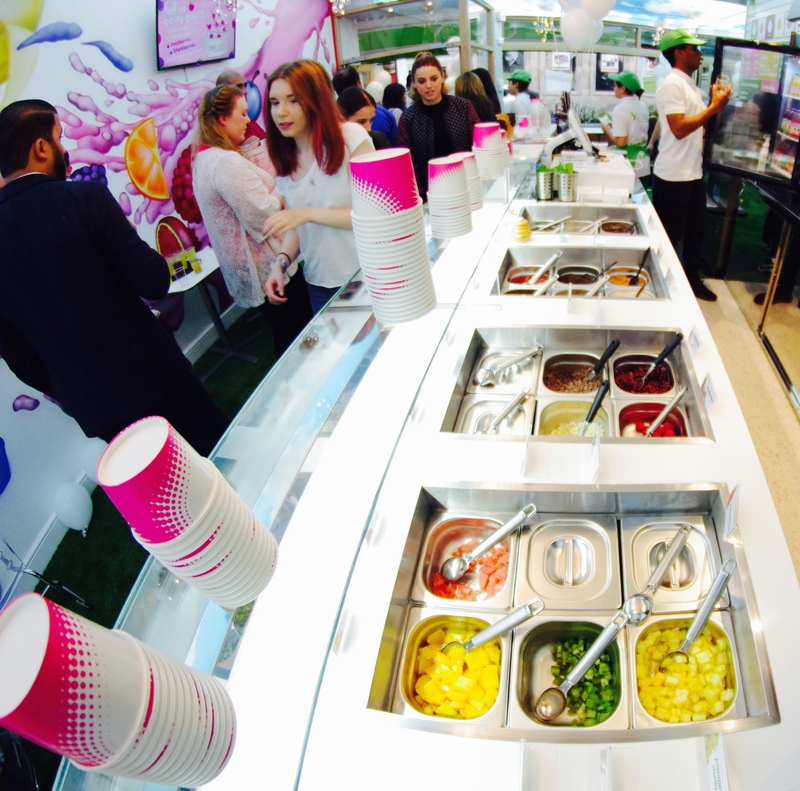 Do you have the Pinkberry frozen yogurt chain in Surrey? Not quite sweet enough for me but many love it. too bad the Brontes didn’t have fro-yo! Is that you??? You guys are beautiful! Great photos. I’m still trying to decide what to write!